Heartland Actors inaugural production, Ariel Dorfmans’s Death and the Maiden, was performed at the Wheeler Arts Community Theatre, located in historic Fountain Square. Directed by Nick Carpenter, Death and the Maiden featured company members Lauren Morris, Michael Shelton, and Ben Tebbe. The show was produced under the Members’ Project Code with permission from Actors’ Equity Association, the union for professional actors and stage managers. 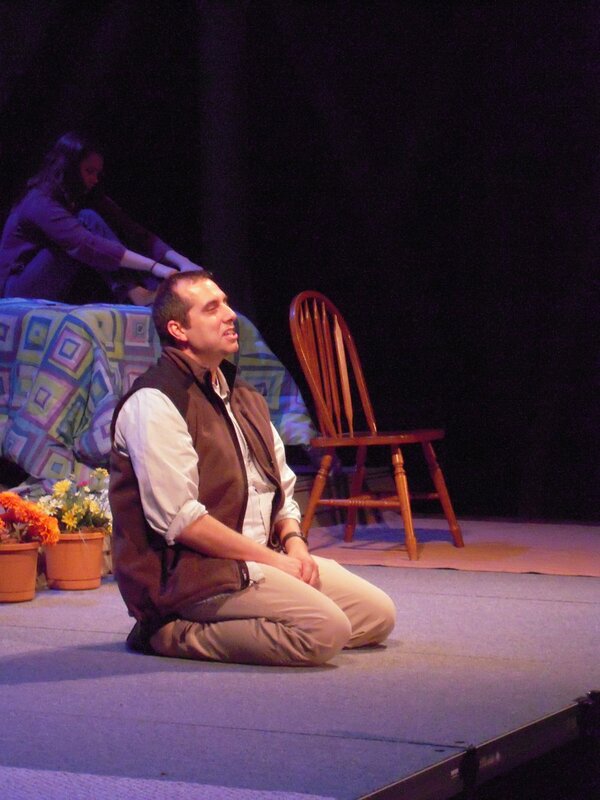 In 2008, Heartland Actors,’ in conjunction with the Arts Council of Indiana, produced Midwestern Hemisphere. The play, by Lou Harry and Eric Pfeffinger, was the first full production of a play to be staged at the Artsgarden, a panoramic atrium and public arts space located in the heart of downtown Indianapolis. The production, directed by Michael Shelton, included company members Sam Fain and Robert Neal, and also featured Claire Wilcher, Megan McKinney, Frank Shelton, and Kelsie Coughlin. Laura Glover was lighting designer. Robin Darling designed the set. The production’s unique staging in the Artsgarden garnered the attention of American Theatre magazine. An Indiana premiere, Heartland Actors’ production of Neil Labute’s In a Dark Dark House was the first full-scale production of a play to be staged at the Indyfringe theatre. Directed by Michael Shelton, the cast included company members Ryan Artzberger and Matthew Roland, as well as Rebecca Masur. In producing In a Dark Dark House, Heartland Actors was fortunate to partner with the Christel DeHaan Family Foundation and Prevent Child Abuse Indiana, a nonprofit organization that facilitated post show discussions and provided literature about breaking the cycle of violence and avenues of help for abuse victims. Heartland Actors’ 2009 Indyfringe Theatre Festival production, Another Classic of Western Literature, was directed by Michael Shelton from a script by Matthew Roland, and featured company member Sam Fain, along with Charles Goad, Rich Komenich, and Don Jamaica. Set design, costumes, and lighting design were by Lindsey Lyddan. The satire, which skewered the engineers of the 2008 financial meltdown, was the highest attended play of the festival. 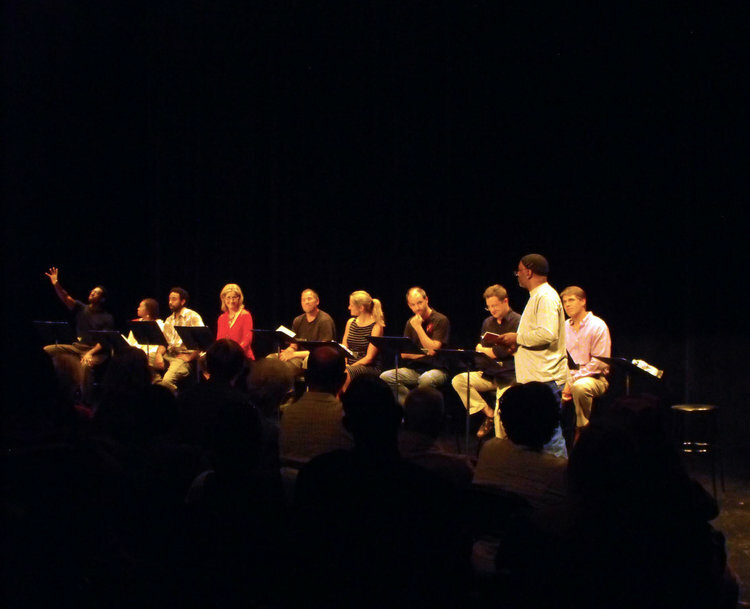 HART produced many staged readings over the years, beginning with Happy Birthday, Wanda June at the Easley Winery, through The Exonerated at Butler University Department of Theatre.